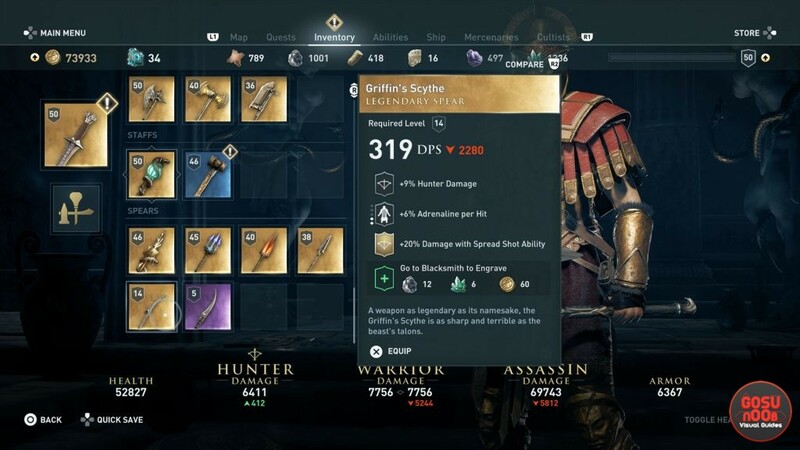 Best starting weapons in Assassin’s Creed Odyssey are some early legendary weapons. They’re far from the best the game has to offer, but they’re available pretty early on (if you know where to look), and they have amazing perks that will make your enemies tremble before you. 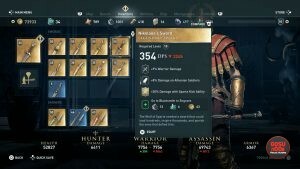 If you want instructions on where to find them, our AC Odyssey early legendary weapons guide will help you. The first one is tied to a main story quest, so stop reading if you don’t want spoilers. It’s a shortsword called Nikolaos’ Sword. It has three perks – +9% warrior damage, +8% damage against Athenian soldiers and +20% damage with Sparta Kick ability. It’s pretty good, and you’ll get it after your confrontation with your father. If you decide to spare Nikolaos, Wolf of Sparta, he’ll give you the weapon. I’m not sure whether you get it even if you kill him – it’s possible you could loot it from his body, but we haven’t tried it. If you’re looking for a ranged weapon, your best bet would be Artemis’ Bow. 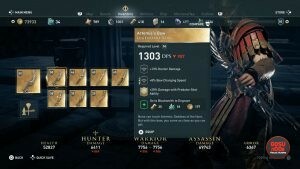 You can get it as early as level 13, and it will give you +13% hunter damamge, +8% bow charging speed and +20% damage with the Predator Shot ability. In order to get it, you’ll have to go to the Temple of Artemis in Phokis and talk to the priestess there. She’ll send you off to kill the Kalydonian Boar west of the temple. When you return with the pelt, you’ll complete the first Daughters of Artemis quest, and she’ll give you the bow. If spears are your weapon of choice, the Griffin’s Scythe is a great choice. It gives the user +9% hunter damage, +6% adrenaline per hit and +20% damage with the Spread Shot ability. We got this legendary spear by fighting off a legendary but low-tier mercenary – since they’re relatively random, what you should do is inspect all the mercenaries you can see in the mercenary tab in your menu, and see which of the low tier ones drop legendary weapons. When you’ve found one you feel confident you can defeat, just track them, defeat them in combat and get their gear.